Investment made to maintain competitive edge in the photo market. The automated on-press colour management system and substrate versatility were key features that led CEWE to install the HP Indigo 7800It was announced by HP at photokina (16-21 September, Cologne, Germany) that CEWE, one of Europe’s largest photo and online printing services providers (PSPs), has installed an HP Indigo 7800 Digital Press. Speaking at the event, CEWE highlighted the automated on-press colour management system and substrate versatility as key features that led them to install the new press. It added that these, and other benefits provided by this new technology, will enable it to increase production efficiency and explore new revenue streams. 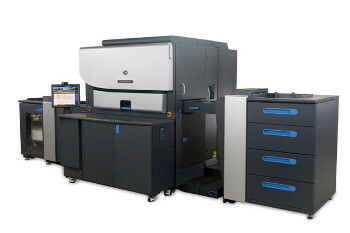 HP explained that eliminating the need for manual colour manipulations, the HP Indigo 7800 Digital Press’ in-line spectrophotometer and colour management tools help to ensure the best possible match to hard-copy proofs, colour uniformity within a page, and colour consistency between presses and sites. In addition, HP said the press features an intelligent automation capability that helps prioritise print jobs with optimised on-press job sequencing according to job length, media, and image types. The HP Indigo 7800 is compatible with more than 2800 substrates and offers direct printing on synthetic substrates with One Shot Color technology.